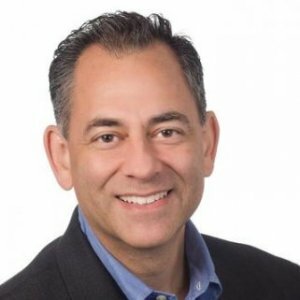 Richard Samson Israel is a senior sales and marketing executive and consultant with 20+ years experience across a variety of industries including over 15 years in advertising and market research. Richard‘s passion is in helping small businesses thrive including his own award winning food service company he and his wife successfully launched several years ago. Richard overseas the Regional Development program as the Western Director for Constant Contact. His focus is on public brand awareness in key designated geographic areas (west of the Mississippi) through the development of relationships with key small business organizations, influencers and the presentation of local education seminars. Richard has been consulting on email marketing for over 10 years in both the non-profit and SMB world. He has also been quoted and a go-to source over the past decade including a co-author of an online Hispanic marketing and public relations book. More than ever, small businesses, non-profits and organizations need assistance to increase engagement with their customers, clients and members. Email marketing, online surveys, event marketing, social media, and deal tools help all types of small businesses and organizations begin a dialogue with their customers. This workshop will outline how to leverage best practices in engagement marketing, as well as a review of some recent successful case studies. This presentation will help your audience understand how the marketing landscape for small business has changed and how to make that change work for them. We will focus on key ideas such as, word of mouth in a social world, the engagement marketing cycle, and how your audience can use that engagement to drive social visibility that will bring customers back through their door and introduce new prospects to their business.